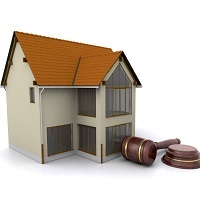 Before you get engaged with any property transaction, you should not miss out the most crucial thing of consulting a professional Property Legal Advisers in Dehradun . Getting advice from a Property Legal Adviser helps you to make the transaction in a most smoother and convenient manner by eradicating the doubt of any future complications. Dev Bhoomi Constructions is one such consultancy, which can provide you adaptable and beneficial advice for property related matters. We are backed by the experienced and well-informed professionals and advocates, who assist the clients with complete paper work from the first stage of deal finalization to the final transaction. To serve the clients with more precision, we provide our assistance for Property Documentation, Property Law Services, and Property Litigation. We work with transparency and deal by adopting ethical practices, owing to which we have successfully reaped the trust of clients spread all across Dehradun.